The object collection includes two gramophones/record players, which played an important part in the social life of the island. Wind-up Grafonolas, designed to play 78rpm disc records (mostly shellac), were made in England by the Columbia Graphophone Company from the early years of the 20thC. This Viva-Tonal Grafonola, with an integral loudspeaker, was probably manufactured later, before the company was absorbed by the new Electrical and Musical Industries (EMI) in 1931. The box is wooden, covered by black leather. It was donated to the museum by Lan MacDonald, Achnacroish. 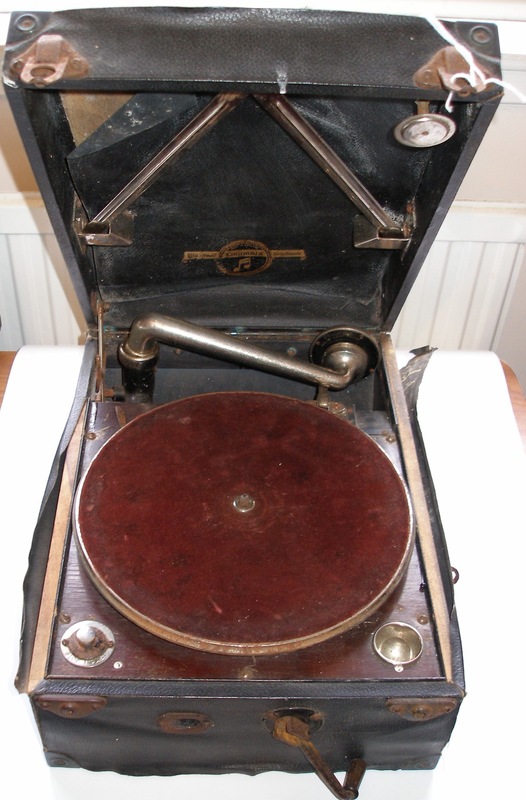 Wind up players were popular because they could be used anywhere, without the need for mains electricity; this explains why they were often referred to as “picnic gramophones”. The grooves on the 78rpm record were “read” using steel needles that had to be replaced frequently. Vinyl Long Playing (LP) records (33rpm) first appeared in 1948 and the RP20 player, manufactured in the 1950s, was one of the first affordable portables to play them, and the smaller 45rpm Extended Play records (EPs). They used diamond needles with a much longer life than the steel needles used for 78s. Until mains electricity arrived on Lismore in 1970 (Object for April 2014), islanders had to rely on diesel generators to play their LPs and EPs. 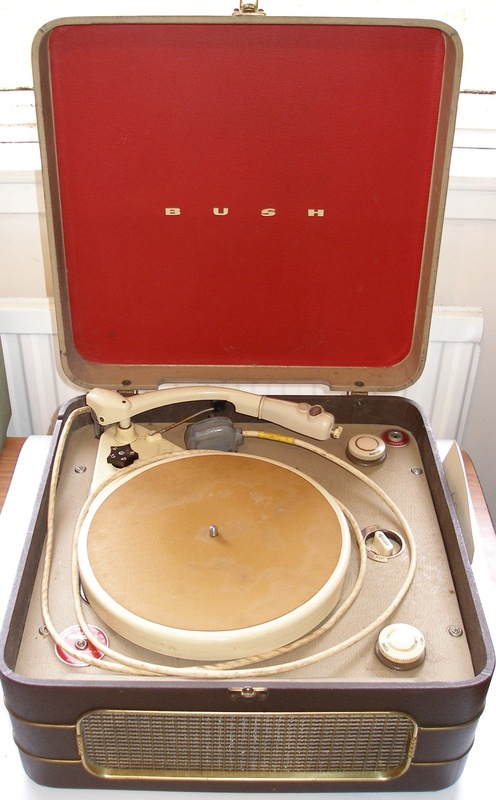 These record players (now overtaken by CD players and downloaded music) were an important part of island life, particularly in the dark winter months. Mairi Smith recalls that the wind-up Grafonola was used for musical evenings in island homes, making special mention of Point Cottage (Taigh a’ Bhealaich) – Dolly’s cottage – at New Year. 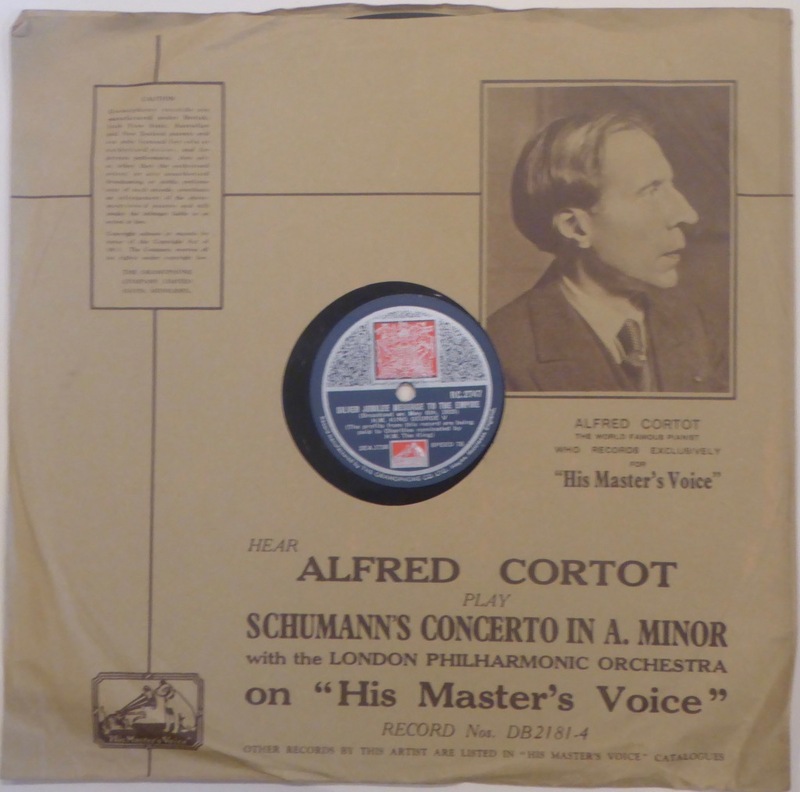 The 78 rpm records donated by islanders to the museum collection give an idea of the wide range of music at these events: Gaelic songs; country dance tunes; Scottish and Irish tenors (John McCormack, Robert Wilson, Kenneth MacKellar); Paul Robeson; hymns and psalms (The Old Rugged Cross); and some classical favourites (Chopin waltzes and the Messiah). 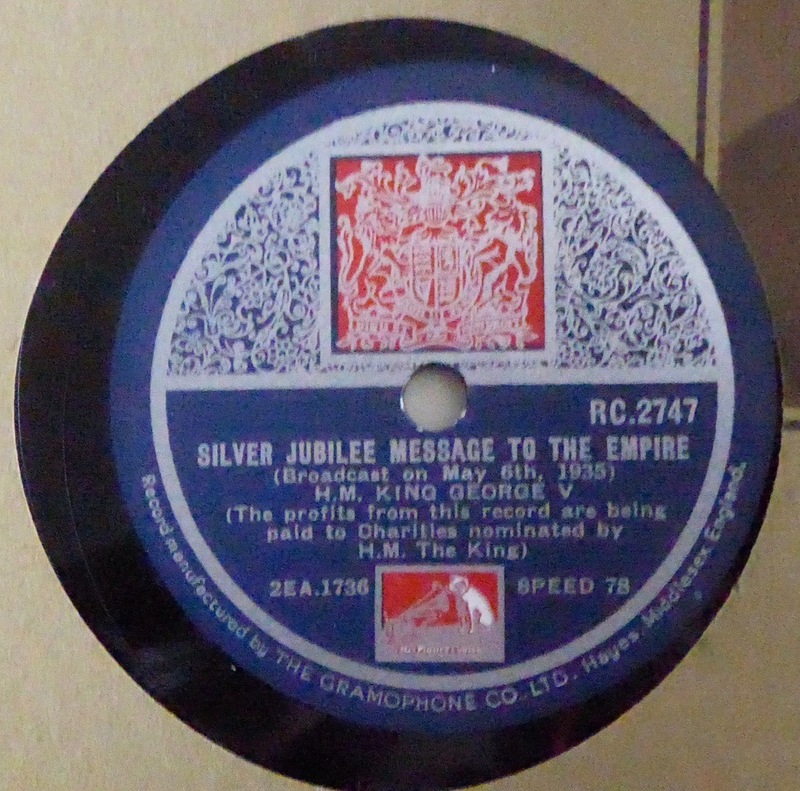 The most unusual are two records of George V’s Christmas Day “Message to the Empire” in 1935.